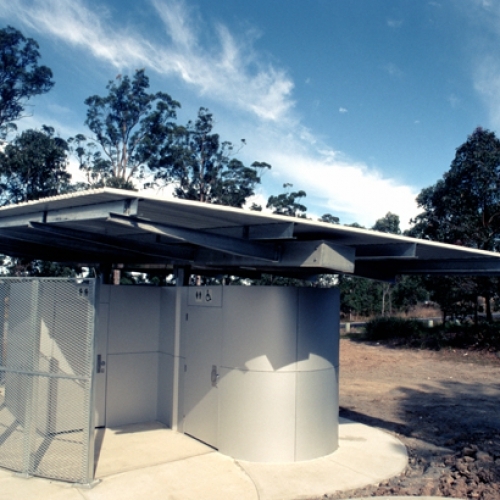 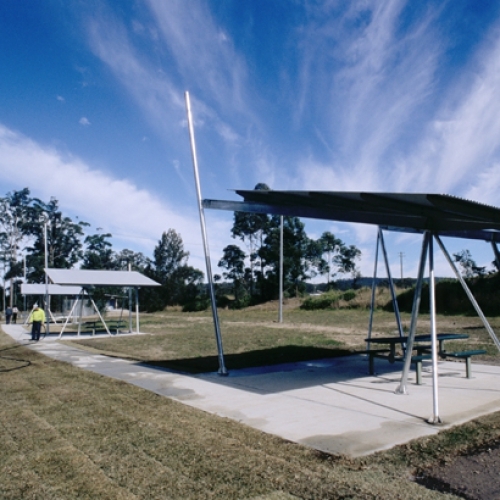 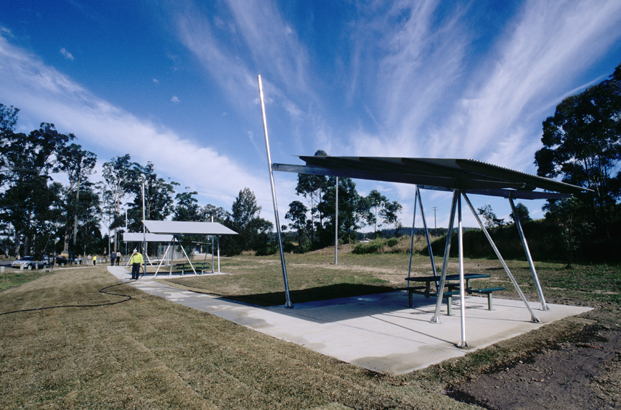 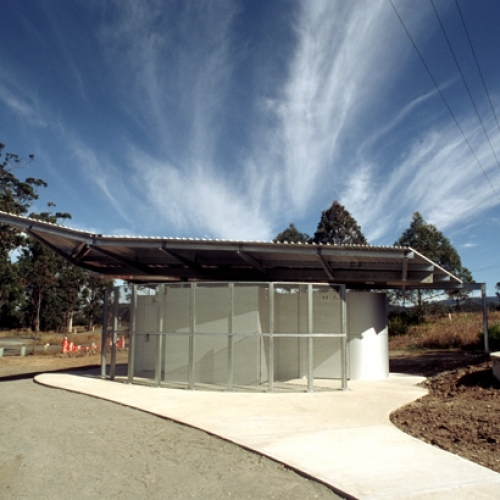 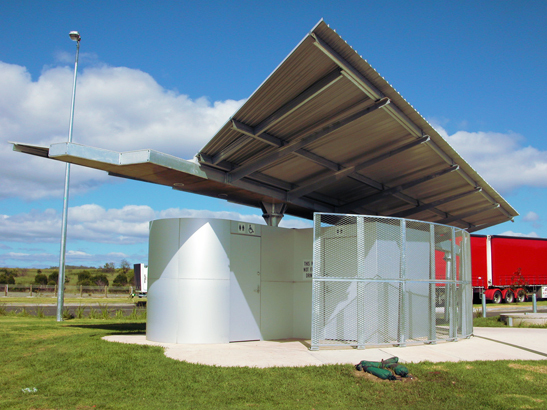 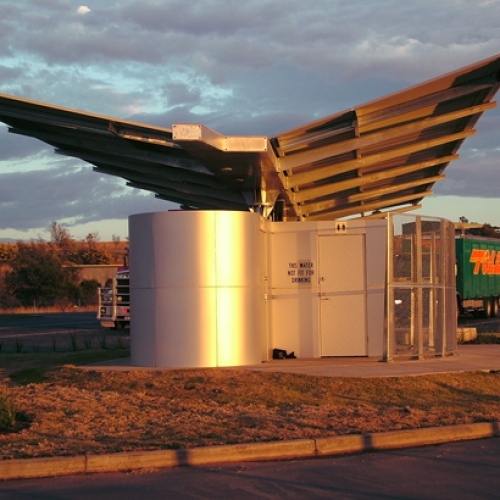 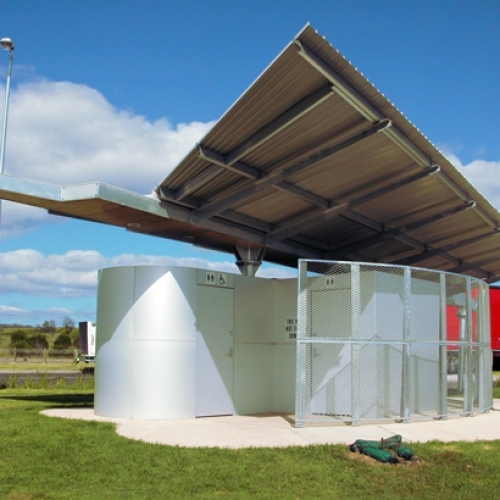 The RG Rest Area Toilets reflect the commitment of the RTA to design in the field of road amenity. 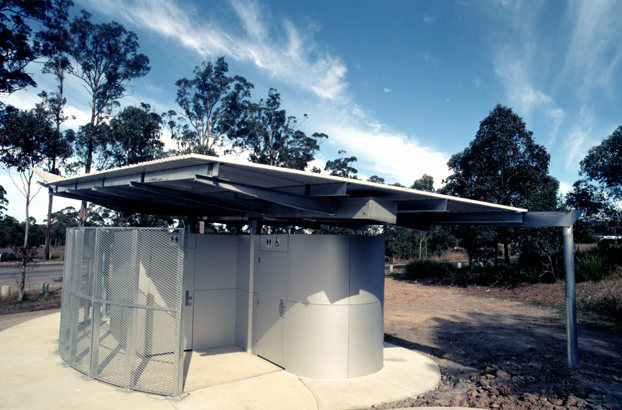 In developing RG Rest Area Toilets it was considered important that they be sophisticated and well-designed to reflect the journey of the motorist. 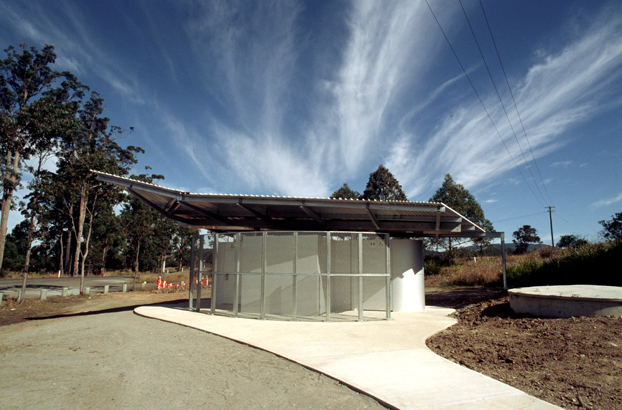 This is a contrast with the vernacular architecture in the landscape such as the rustic shed. 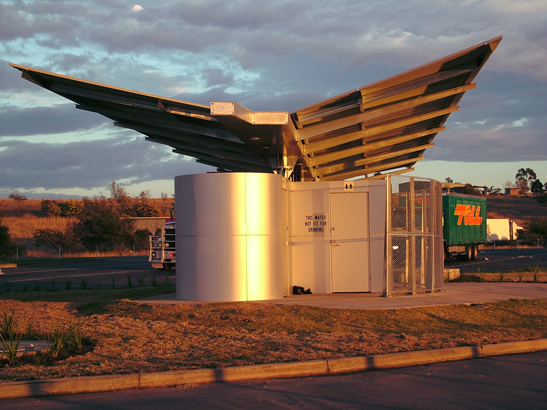 Instead the RG Toilets are more akin to car design and relate to landscape in a more conspicuous manner, engaging their function and place within the road system.